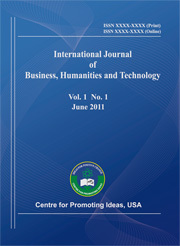 This paper examines a new way of using computers to enhance the ideation process. Our goal is to investigate methods for implementing digital tools that would help the architectural designer tackle the design process in a different way. Using these tools, the designer would be able to explore a given design space and coherently reuse prior work. This research project aims to develop a methodology that is as flexible as possible for implementing backtracking and forwarding mechanisms that would go beyond the mere notion of undo/redo (characteristic of commercial CAD packages). Instead of tackling the design process as a linear sequence of decisions, we wish to enable the architectural designer to move within a graph of interconnected decisions. We are currently working on a case study dealing with stair design. We plan to evaluate the relevance of such digital tools through working sessions involving potential users. Before doing so, we summarize the questions raised within the framework of this research project.